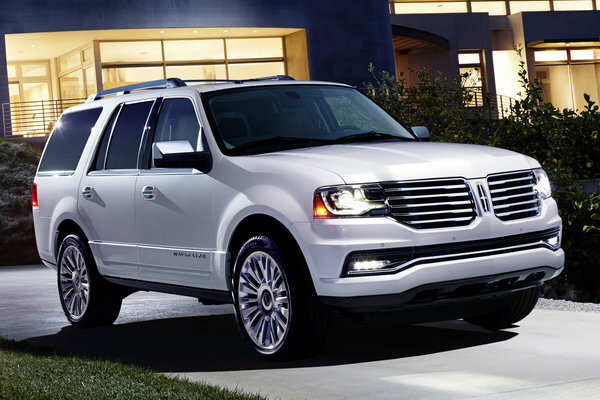 The Navigator is an upscale version of the Ford Expedition. The upscale interior is finished in leather and wood. Third row seats are can be folded automatically. A power liftgate eases loading and unloading the cargo area. The standard 380-bhp 3.5l turbocharged V6 is equipped with a 6-speed automatic. Towing capacity is up to 9,000 lbs. Although full-size SUVs have become popular as family haulers, their only real advantage is the higher tow ratings. Full-size SUVs with truck underpinnings are robbed of interior space with the body mounted over the frame. Modern FWD-biased SUVs offer similar interior room with improved maneuverability, cargo capacity and fuel efficiency for far less money.